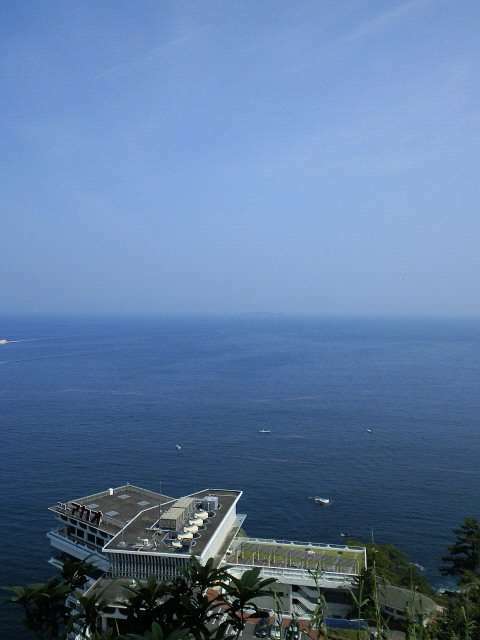 Atami Sun beach – The lasting impression I got of Atami was that, while it is slowly being rejuvenated, it’s prime was in a past era. I wasn’t surprised on reading up on it to learn it has been popular as a hot spring resort since the 8th century. I was surprised, though, to read that it is ranked as one of Japan’s Three Great Hot Springs. We may have been unlucky, but the hot springs we visited were old and decadent. It has a huge amount of potential and maybe one day it will thrive again. For now, it has an interesting mix of old and new, but the beach (and it’s stop on a bullet train route) ensures that it will always be a popular tourist area. The beach in question is called Sun Beach. 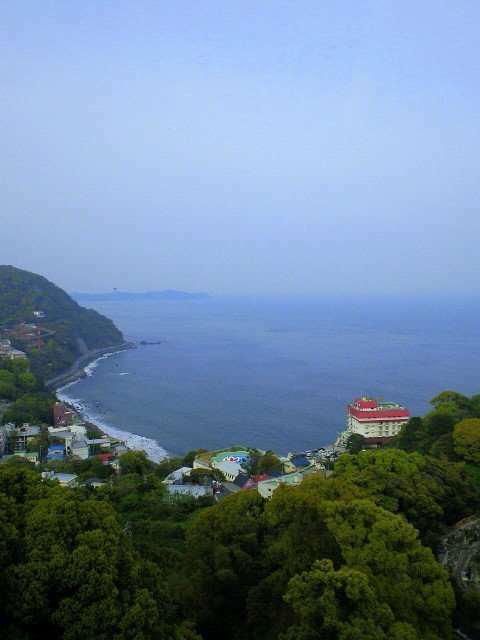 It is certainly not the prettiest beach or longest beach in Shizuoka, but it is a nice beach and is ideal for toddlers. In my experience, it never gets particularly crowded, but I have not been there in the height of summer. The promenade seems quite new and it was very well maintained. There was plenty of cleaning staff in the area. You have to pay to park the car in the sea front car parks and while they weren’t cheap they were worth it for the convenience of being close to the beach with two toddlers and a day’s worth of beach essentials to transport. 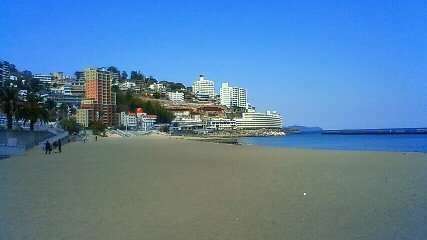 Atami beach has plenty of accessible toilets and areas to wash feet. There are also some showers on the promenade. There are a few restaurants, shops and amusements nearby. 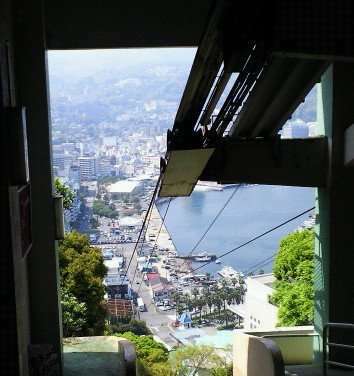 One of the highlights for us was the cable car to the top of the cliff, for the view and NOT for the building that is there. Randomly, it is home to an adult museum, which just added to the shadows of despair lurking in this old town. On balance it was well worth the trip for the beach, the ocean, the views and the holiday feel. The onsens weren’t what they were cracked up to be and the place feels so dilapidated. The cost of the hotel was twice what we would normally pay and the room was substandard. We won’t be rushing back, but we are glad we visited.